idea-packed book gives you step-by-step instructions for tackling small, inexpensive, and easily achievable decorating projects that will give your home a whole new look. 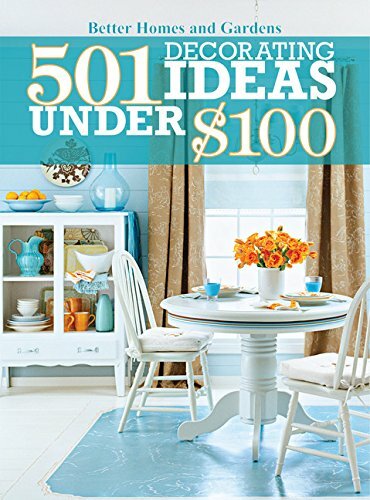 501 Decorating Ideas Under $100 gives you projects and inspiration for sprucing up every room of your home, from revamping store-bought curtains to making over a piece of furniture to creating an original work of art to hang on the wall, and so much more! 501 easy projects that can be done in a day or less for under $100 Projects include an array of styles, from funky to classic Step-by-step instructions show how to create a wide variety of projectsWhether you're looking to brighten a dark corner of an apartment or want a completely new look for an entire house, the 501 projects in this gorgeous book will inspire and guide you every step of the way.